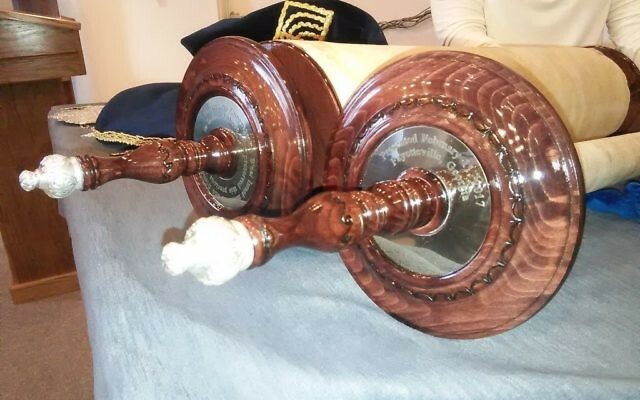 Torah portion provides insight to new investments and faith in the future. 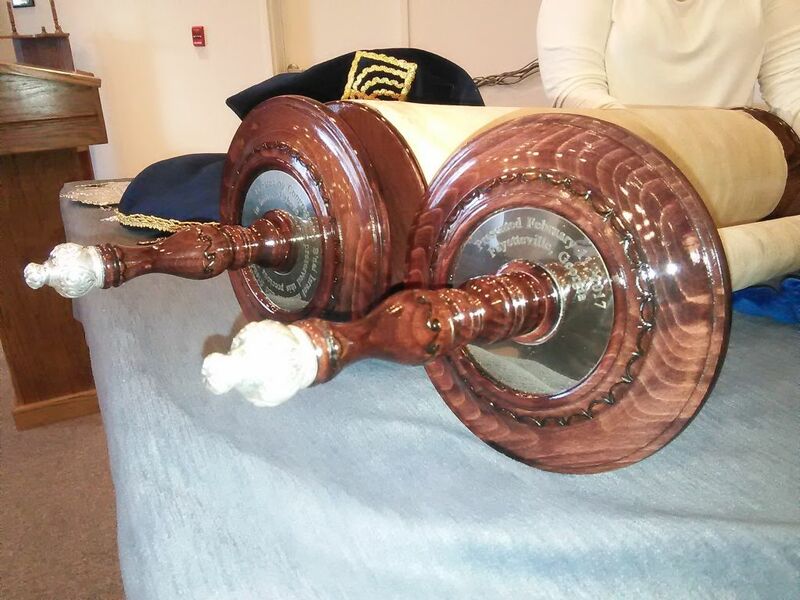 Congregation B’nai Israel has new rollers for its Holocaust Torah. As a new graduate, you may spend a lot of time wondering what your future holds and how to achieve your goals in the next phase of life. Career success boils down to two things: preparation and opportunity. College has prepared you. Now you must watch for the right opportunity and jump on it. How do you know when an opportunity is right for you? Take a daunting decision I faced in my real estate investment business, the RADCO Cos. It was early 2013, and I had recognized that we were becoming the “renting nation.” I had the opportunity to buy Park at Briarcliff, a 982-unit foreclosure backing up to the heart of the Orthodox Jewish community in Toco Hills on the way to Emory and the CDC. It was a huge deal, but it required a ton of equity I did not have and (being mid-1960s vintage) would require a ton of repairs and renovations just to keep it safe. On top of that, it sat on a ground lease, and we had no precedent to determine its value to a future buyer. What to do? I met with my two partners that Friday afternoon. They both voted no, emphatically so. Our construction department said it was too much for them to handle, and I had no idea where I could dig up $13 million of equity. I went to Congregation Etz Chaim the next day to attend Shabbat services. I did not sleep well the night before. I came to shul nervously thinking not of my fellow congregants or of Shabbat. I did not feel spiritual at all. Instead, my mind was twirling about the potential rewards of taking on what seemed like a huge risk. If I said no, we would pass on this opportunity and remain a boutique-size company in a field I expected to mushroom in the coming years. I say “expected” because, since the end of World War II, there had not been a demographic change like the one I thought was coming. I did not yet have the capital and the infrastructure to take on this anticipated growth. So the decision was a big one, and I felt the weight of the responsibility in my kishkes. The decision was mine alone to make. Or was it? Rabbi Shalom Lewis rose to speak on the day’s Torah portion. It was prophetic, and I felt the Torah and Rabbi Lewis speaking directly to me. The Torah portion was about the 12 spies. Near Canaan, the people were restless. Their faith was tested, and they wanted proof of what Hashem and Moses had said about the Holy Land. So Moses called for 12 spies, one from each tribe. The Torah gives the name, the family, the lineage and the tribe of each spy in nearly equal proportions. No one was singled out as better than any other. The 12 spies went out. When they came back, there were two reports. The majority saw impenetrable walls, numerous and strong soldiers, and a disadvantageous terrain. They recommended not to enter the land and to go back to Egypt or elsewhere – Canaan was a no-go. Two spies disagreed and insisted that this was our one chance. The enemy is arrogant. There are ways around their defenses. Let’s seize this opportunity. It may never come again. Moses chose to advance, and the Israelites were victorious. Rabbi Lewis asked the congregation to close the Chumash and to name the 12 spies. The congregation could not name more than two, even though all the spies were given the same due in the Torah. Those two were Caleb and Joshua, the two spies who said to seize the day. Rabbi Lewis suggested that the Torah is telling us that history remembers those who take the chances Hashem gives us. Deciding not to make a decision, to avoid risk or to take the comfortable route could leave us in the dustbin of history like the other 10 spies. I got it. I was going to do the deal. I was going to grow RADCO into unchartered territory. I was going to do it without capital or infrastructure. As the two spies said, Hashem will provide. We did the deal. We found the equity. We built the infrastructure. The demographic changes I saw coming accelerated the renting nation phenomenon. And I grew the company into this trend. Today, RADCO is the second-largest landlord in Atlanta and was recently named Atlanta’s fastest-growing private company. We have nearly 18,000 apartments and an asset value well north of $2 billion. But it was almost not to be. My recommendation to all the young people with budding careers is to believe in yourselves, understand the opportunity, and, like Caleb and Joshua, seize those chances right in front of you. Norman Radow is the CEO of the RADCO Cos. and a member of Congregation Etz Chaim.